SVT has unveiled a new comedy series with Felix Herngren, the creator of the Swedish pubcaster’s comedy Bonus Family and TV4’s Solisidan. 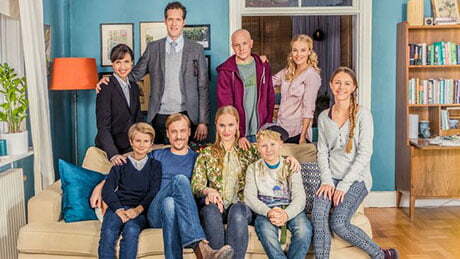 Family comedy Andra åket (Second Ride), coproduced by Herngren’s prodco FLX with SVT and Filmpool Nord, starts shooting this month and is due to air on SVT this autumn. It centres on a family who swap their stressful big-city lifestyle for one in a ski resort hotel, taking one of the central characters back to her childhood home. Andra åket was created by Herngren, who is also directing together with Martin Persson and Eddie Åhgren. Herngren’s scriptwriting team includes Erik Hultkvist, Tapio Leopold, Sara Marmnäs-Andersson and Niclas Carlsson. Competition for comedy drama writers has been ramping up in Sweden over recent years. This spring sees the launch of two new comedies: Sjölyckan, also from Felix Herngren and FLX for TV4, and Kanal 5’s new comedy Helt Perfekt (Totally Perfect), which launches this month. The latter is a Swedish version of the comedy hit from Norwegian cousin TVNorge and is produced for Kanal 5 by ITV. This month, Croneman unveiled a scriptwriting initiative to attract a broader pool of established writing talent to enter the drama scriptwriting field to address growing pressures around securing talent within the sector.